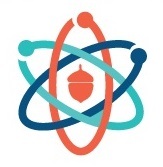 The 2018 Raleigh March for Science team is an ad hoc volunteer group that organizes in solidarity with the national March for Science. The March For Science champions robustly funded and publicly communicated science as a pillar of human freedom and prosperity. We unite as a diverse, nonpartisan group to call for science that upholds the common good and for political leaders and policymakers to enact evidence-based policies in the public interest. Brian Malow- Brian is a science comedian and science communicator who has worked with the National Science Foundation, Neil deGrasse Tyson, Time Magazine, Scientific American, and the North Carolina Museum of Natural Sciences. Ben Keller- I'm an NC State Physics alumnus and now a Process Engineer at Cree. Science has always been an improtant part of my life and career. After attending the March for Science last year, I'm very excited to be a part of it this year! Mike Madden is a Ph.D. student in the Marine, Earth, and Atmospheric Sciences department at NC State University. He specializes in numerical weather modeling, climate change, and atmospheric chemistry. He was a speaker at last year’s March for Science rally at Moore Square, and has since looked for ways to become more involved in scientific advocacy. Katie Mac Thompson, RN MSN - is a veteran political campaigner, nurse, mother and community organizer. She co-founded Activating Families Across Raleigh (AFAR) to make civic engagement and progressive activism a family value within everyone's reach. As the daughter of Raleigh Mayor Nancy McFarlane, RPh (the only STEM Mayor of top 50 US cities) she's invested in electing champions of science to positions of influence over public policy. She's heading up the Raleigh Kids March for Science. Veronica Varela, MPH - is a global health researcher. She is working on the communications committee for the March for Science. Devon Gaydos- I'm a Ph.D. student at NCSU in Forestry and Geospatial Analytics. My work uses predictive models of forest disease spread to inform management and engage stakeholders. Dana Deaton - Dana is proud to be working with communications on the March for Science team. Her professional background is in middle school teaching and she holds a B.S. and M.Ed in Technology Education from NCSU. Dana taught for fourteen years in NC Public Schools. Since leaving the classroom she has concentrated on raising a family and has become involved with school, community, and nonprofit communications and social media marketing. Dylan White - is a Ph.D. student in the Marine, Earth, and Atmospheric Sciences Department at North Carolina State University researching tropical meteorology. Dylan is working with the communications committee.